“See, my servant will act wisely; he will be raised and lifted up and highly exalted. Just as there were many who were appalled at him – his appearance was so disfigured beyond that of any man and his form marred beyond human likeness – so will he sprinkle many nations, and kings will shut their mouths because of him. For what they were not told, they will see, and what they have not heard, they will understand. Who has believed our message and to whom has the arm of the Lord been revealed? He grew up before him like a tender shoot, and like a root out of dry ground. He had no beauty or majesty to attract us to him, nothing in his appearance that we should desire him. He was despised and rejected by men, a man of sorrows, and familiar with suffering. Like one from whom men hide their faces he was despised, and we esteemed him not. “Surely, he took up our infirmities and carried our sorrows, yet we considered him stricken by God, smitten by him, and afflicted. But he was pierced for our transgressions, he was crushed for our iniquities; the punishment that brought us peace was upon him, and by his wounds we are healed. We all, like sheep, have gone astray, each of us has turned to his own way; and the Lord has laid on him the iniquity of us all. He was oppressed and afflicted, yet he did not open his mouth; he was led like a lamb to the slaughter, and as a sheep before her shearer is silent, so he did not open his mouth. By oppression and judgment, he was taken away. And who can speak of his descendants? For he was cut off from the land of the living; for the transgression of my people he was stricken. He was assigned a grave with the wicked, and with the rich in his death, though he had done no violence, nor was any deceit in his mouth. If these prophetic descriptions in Isaiah and the Psalms are to be literally interpreted and applied to Jesus – as they apparently were by the apostles – then we have the description of a man who was not only crucified but who also had His flesh so torn away that people looking upon Him after his ordeal could scarcely tell He was a human being (Isaiah 52:14). In addition, the bones of Jesus’ body were evident to Him, penetrating through His skin (Psalm 22:17). That they were “seen by him” indicates that the bones could be seen by Jesus on the front of His body. We therefore know that the passage is not referring to the results of the lashing by the Roman solders – as ordered by Pilate – which were administered on the back of Jesus. According to Dr. Martin, this means that Jesus’ bare bones were exposed, most likely because large amounts of skin and underlying flesh had been torn away from the bones during the process of stoning the front parts of his body. This is quite an image! To think that our Saviour was so brutally pelted and His body so horribly torn is beyond imagining! But that is exactly what is described by Isaiah, by the Apostles, by the Disciples, and by several eyewitnesses to the crucifixion and stoning. To summarize: Although brutal and painful, the scourging to which Jesus was subjected before his crucifixion was not intended to kill him. We are told in Scripture that Pilate fully intended to release Jesus after the Roman soldiers had chastised him. We therefore know that Pilate fully expected that Jesus would recover. Pilate had no desire that Jesus should die (Luke 23:22). In addition, the scourging administered to the back of Jesus – as prescribed by Roman law – could not have accounted for the extensive bodily injuries referenced in Psalm 22:17, which could only have been to the front of Jesus. We must conclude, therefore, that the horrible injuries suffered by Jesus to the front of his body were most probably the result of being pelted repeatedly with small stones – stoning to death. Another reason for reaching this conclusion is that stoning was the only punishment for capital crimes (which included blasphemy) under Mosaic Law. The description in Isaiah 52:14 is consistent with stoning by the Sadducean method. Remember from my earlier Post, Jewish vs Roman Law, that the Sadducean priesthood was the ruling sect in the Temple administration during the lifetime of Jesus. The alternative method of stoning – the Pharisaic method – required a single large stone to be dropped from a height, which would have caused large numbers of broken bones. According to John 19:36 – and as supported by the analogies of Exodus 12:46, Numbers 9:12, and Psalm 34:20 – this was not the case with Jesus. While we presently view stoning as a barbaric and inhumane practice, and while we find it difficult to envision our Messiah being stoned, this execution method was entirely legal under Jewish law in ancient Jerusalem (Leviticus 24:13–16) and was both accepted and prescribed during the time of Jesus for the crime of blasphemy. We recall from the earlier Post that although Pontius Pilate was the Roman authority who approved the execution of Jesus (John 18:31), it was the Jewish authorities in Jerusalem who killed Him according to their biblical law. Pilate told the Sadducees, “take ye him and judge him according to your law” (John 18:31). This law meant that Jesus would be subjected to the Jewish method of execution, which required being hung on a tree and pelted with stones in the Mosaic manner (Leviticus 24:16). “And again he sent unto them another servant; and at him they cast stones, and wounded him in the head, and sent him away shamefully handled.” (Mark 12:4, KJV). Most likely, at some point during the six hours He was hanging from the tree, Jesus would have been struck and blinded by the barrage of stones. Isaiah understood that most people – even the kings of the world – simply would not believe his prophecy. He recognized that people would miss the full force of what he was saying – that the Suffering Servant, the Jesus with whom the apostles identified, would become an unrecognizable, bloody mass, a figure whose outward appearance would be so altered by His ordeal that almost no one seeing Him near the time of his death would have thought of Him as having a human form. Most would certainly not have believed Him to be the Saviour of the world. When Jesus instituted the Lord’s Supper on the eve of His crucifixion, He took bread and broke it and said the breaking was like His body, which would be broken for many (Matthew 26:26). He spoke also of the wine, which He said represented His blood, which was shed for the remission of sins. 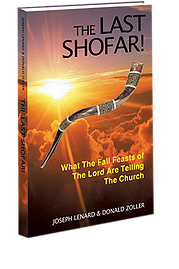 From the bread and the wine of the Jewish Passover Seder came the Lord’s Supper, which became a sacred institution within the Christian church. It has long been a mystery to religious scholars that the breaking off of pieces of flat and crispy bread -like the unleavened matzos that Jews eat at Passover today – could somehow represent the body of Jesus at his crucifixion. Indeed, the New Testament specifically states that no bones in Jesus’ body were broken (John 19:36). Modern scholars may therefore find no relationship whatsoever between the death of Jesus and the breaking of the unleavened bread. Many consider it to be a simple act of Christian fellowship. However, many early Christians did not see it that way at all. These ancient writings expressed the belief that the broken bread in the ceremony of the Lord’s Supper did indeed represent the broken body of Jesus at the time of his crucifixion. According to Dr. Martin, the prophecy of the Suffering Servant in Isaiah 52:13 to 53:12 contains the statement in Hebrew that the person of the prophecy would be broken for our iniquities [bruised in KJV]. The Hebrew word dahchah at Isaiah 53:5 means broken (cf. Isaiah 19:10). We therefore have both the writings of early Christians and the prophecy of Isaiah that the body of Jesus would indeed be broken, like the breaking off of pieces of unleavened bread. The scourging by the Roman soldiers before His crucifixion and the act of crucifixion itself would not have accounted for the breaking off of pieces of Jesus’ body (on the front side). It simply would not have happened. However, the process of being struck repeatedly with small, sharp stones would produce this outcome precisely. Over a period of several hours the small, sharp stones hurled at His body would tear away pieces of His flesh like pieces of unleavened bread being torn from the larger loaf; and in the end Jesus would have been left hanging on the tree, looking very much like the person described by Isaiah as the Suffering Servant: So torn and bloodied that He would no longer have resembled a human being. The importance of the shedding of blood for redemption through the death of Jesus has long been a mystery to some. Let’s first understand that in a crucifixion, there is relatively little shedding of blood. This is important. Yes, the scourging of Jesus would certainly have shed blood. But remember that Pilate did not want a scourging to the point of death; he wanted to release Jesus, because he felt Jesus was not guilty of crimes warranting death. Then too, the nails driven into Jesus’ wrists would have accounted for some blood loss, as would the spear that was thrust into Jesus’ side. But neither of these would have caused a critical loss of blood. Remember that by the time the spear was thrust into Jesus, He was already dead, and his heart was no longer pumping blood. From a theological standpoint, the spear thrust would not even “count” as a proper shedding of blood. So we see that with the traditionally accepted punishment of Jesus, nothing that was done would have resulted in the amount of blood loss that was in evidence during that first Passover, when the blood of the slaughtered lambs were applied to the door frames and lintels of the Jews in Egypt before the Tenth Plague. The blood loss from the flogging and the act of crucifixion did not directly cause the rapid death of Jesus, as Pilate was surprised that Jesus died so quickly (Mark 15:44). Pilate had quite possibly forgotten that the stoning would so markedly hasten the death of Jesus. The act of stoning, per the description of the Suffering Servant, would have resulted in a significant shedding of blood. This fits the Old Testament description and requirement, as well as the New Testament emphasis on the shedding of blood. The additional blood loss from the stoning would have accounted for the quicker-than-usual death of Jesus. I can’t help but interject a comment in reaction to all of this. This is what Jesus did for us as the Suffering Servant, to pay the price for our sins! Jesus suffered the gruesome penalty of death for our sins, according to Mosaic Law, a death that was deemed acceptable by the Father as the perfect substitutionary sacrifice. Thank you, Jesus; and praise God for His gift to each one who trusts in the salvation which is only available through Him. Amen. If you evaluate the various pieces of evidence and reach the same conclusions I did when I studied them in detail, I am certain that you will never look at Holy Communion in the same way again. I certainly don’t. It is well to remember that when resurrected from the grave into which He had been placed, Jesus was healed of the injuries caused by His scourging, stoning, and crucifixion. How do we know this? We know, for example, that Mary, who saw Jesus at the tomb after His resurrection, thought that He was the gardener; Jesus had to have been physically restored in order for Mary to mistake Him for the gardener – who had obviously not been stoned. 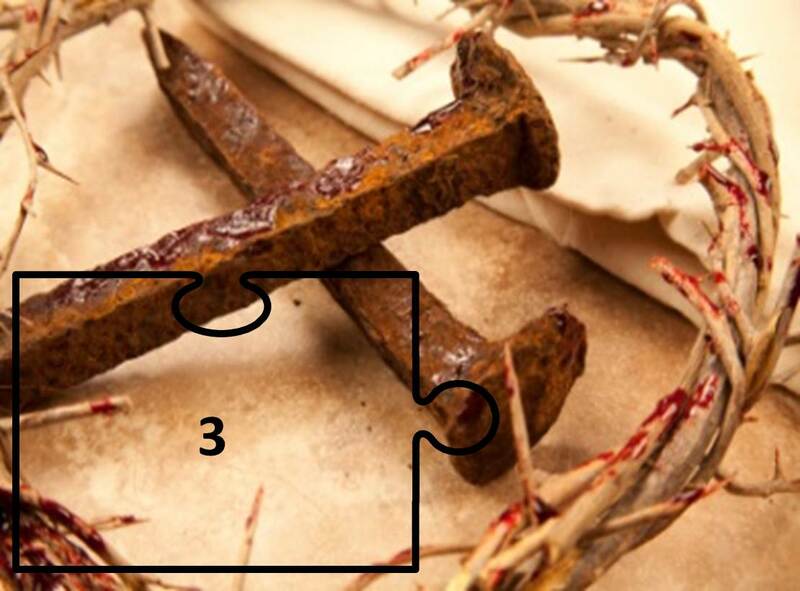 Except for the nail holes in his “hands” [wrists] and the hole in his side from the spear of the Roman soldier – eternal reminders of the punishment He underwent for us (John 20:27) and of his identity (John 20:24-28) – His flesh was fully restored, and He was once again recognizable to those who knew Him. The disciples were overjoyed at the sight of Him in his restored body (John 20:20). At first, Jesus was not recognized by the women at the tomb and the two disciples on the road to Emmaus. Because of the brutal condition of His body when buried, it is understandable that no one would recognize Him in His restored form. His whole body was restored. Remember, Jesus is the “first fruits” of the resurrection, and He has a resurrection body for eternity. The same restoration of the body will one day be experienced by Stephen and Paul – from the effects of their stoning – and for each of us, from whatever physical ailments we presently suffer. 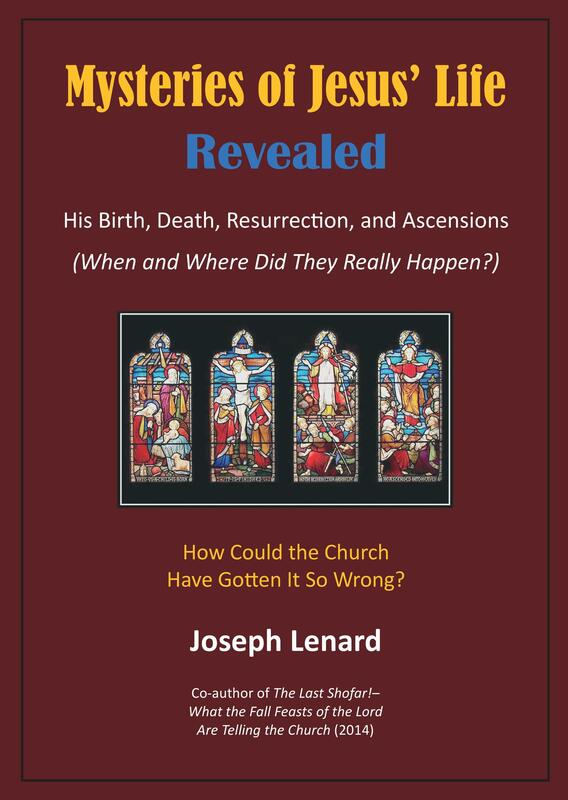 This will, of course, occur following the resurrection from the grave and the Rapture at the Second Coming of Jesus. Because of Jesus’ faithfulness as the Suffering Servant, the dead in Christ will rise; and bodies will be healed (I Corinthians 15:42–58). Each of us will be given resurrection bodies, just as Jesus received His. And just as we have borne His likeness on earth, we shall one day bear His likeness once again (I Corinthians 15:49); and all those who are “in Christ” will see Him as He is. Jesus is the first fruits of the resurrection, and that is Good News for all who believe. Praise God. Note: In my next Post I will establish that the location of Jesus’ crucifixion was also consistent with the location prescribed by the Jews when stoning was to be the method of execution.